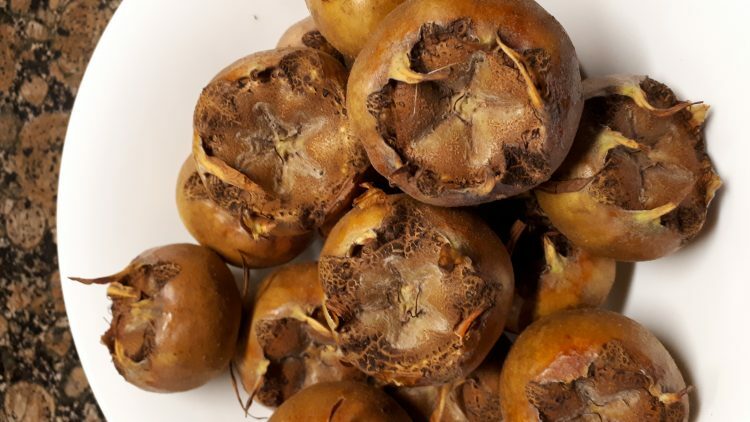 ….but what do we do with these medlars?! I understand you pick them now, let them ripen until they start to rot then eat the flesh. It’s meant to be delicious but I remain to be convinced ….